Warts - Advanced Skin and MOHS Surgery Center, S.C. There are many types of warts, but each type of wart is caused by a strain of HPV virus. These viruses are spread by skin-to-skin contact. Typically your body does not recognize the HPV as being harmful, so the warts are allowed to grow. Warts appear as elevated, round skin papules with a rough grayish-white or light brown surface. Although lesions may occur anywhere, they have a tendency to occur at sites prone to trauma, such as knees, elbows, hands, and feet. 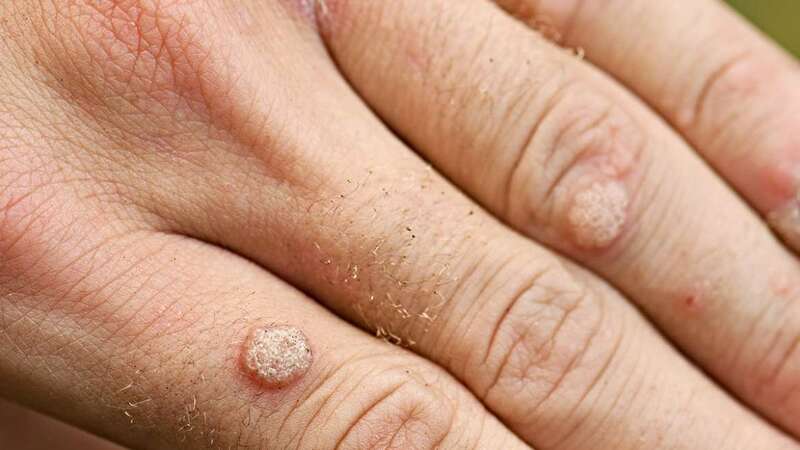 Common warts, which often appear on your fingers. Flat warts, which are smaller, smooth warts that often appear in areas you shave frequently. Warts are typically treated by a combination of destructive methods. Your physician will review exactly the type(s) of treatment necessary for your type of wart.